Spencer James Comedy Don't Shake A Baby - Sam Enjoys & Shares! It is always fun to discover new (to me) comedians. I find that laughter is the best medicine — a laugh a day keeps the doctor away! 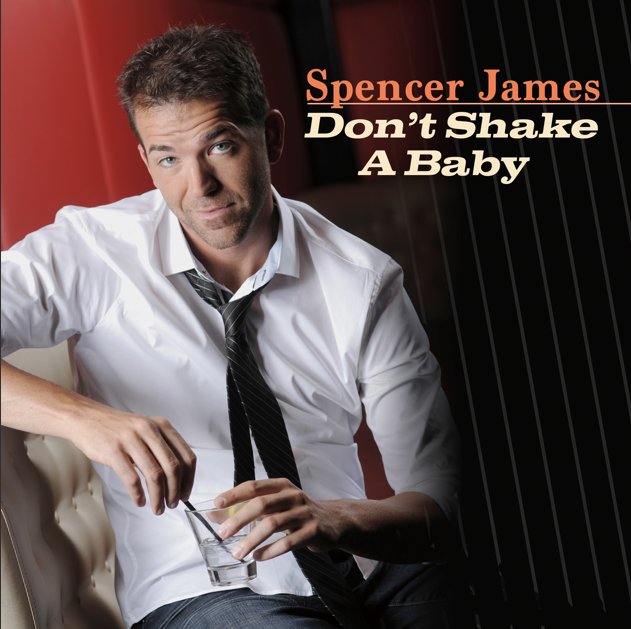 FTC disclosure: I was fortunate that Uproar Comedy sent a free download of Spencer James album Dont Shake a Baby for review. The opinions are my own and do not represent Mr James or Uproar Comedy. Spencer James is irreverent and outspoken. Some of his comedy fit in the “funny because it is true’ category. And some is in the “he didn’t just say that!” category. And some of it was a little over the line for me, but that is the thing with comedy–different strokes. One of the best ways to see whether comedy appeals to you is to hear a sample, I included this link to listen to a sample of Spencer James’ comedy on Soundcloud. Here is a YouTube clip that is very similar to the first track on Don’t Shake A Baby. Spencer James’s comedy career started very early on. At eleven years old, he was the fat kid always getting picked on by school bullies and being ignored by every girl around. An army brat who moved frequently throughout the US as well as internationally, he used stand-up to provide comic relief. James has entertained audiences all over the country. He was the Winner of the 2014 World Series of Comedy in Las Vegas, Nevada and “Best of the Fest” at the 2014 Burbank Comedy Festival. He was also recently seen on the Fox television show “Laughs”. A sort of “personal reveal”, his comedy reflects a variety of influences – Bill Cosby’s storytelling; Mitch Hedberg’s one liners; Richard Pryor’s vulnerability. He admires Bill Hicks, Bill Burr and Christopher Titus for the openness they all share. His comedy gives us his unique perspective on those things in life that he finds funny or weird – stuff like guys in wheelchairs buying ladders at Home Depot. Spencer James Don’t Shake A Baby is available for purchase and download at Uproar Comedy.